Are you familiar with the driftwood? Have you ever seen some driftwood articles in your surroundings or even in some country side exhibition? If not then you must find some for you if you are a true art lover. I assure you that you would love it. Driftwood is basically a form of marine debris. These are the raw wooden pieces that are thrown on the sea shore by the act of wind or water. We have used this very driftwood in countless art crafts which are being used in practical daily life. Driftwood is really a gift for the crafters who love recycling. You just need to ponder on the driftwood, and if you have a real artist by heart and soul trust me this driftwood is going to give you hundreds of inspirations. One of those inspirations could be making of a lamp that is perfect to be placed in your bedroom. This driftwood recycled lamp is a perfect demonstration of recycling. Its rough and rustic dingy look is just perfect for your bedroom to add some additional charm and a wild look into your bedroom. There was a time when I used to spend piles of bucks on purchasing such accessories from the market but was never satisfied completely. But since the day I have learnt recycling techniques, I am much relieved because this repurposing of several trashed items is very cost friendly. 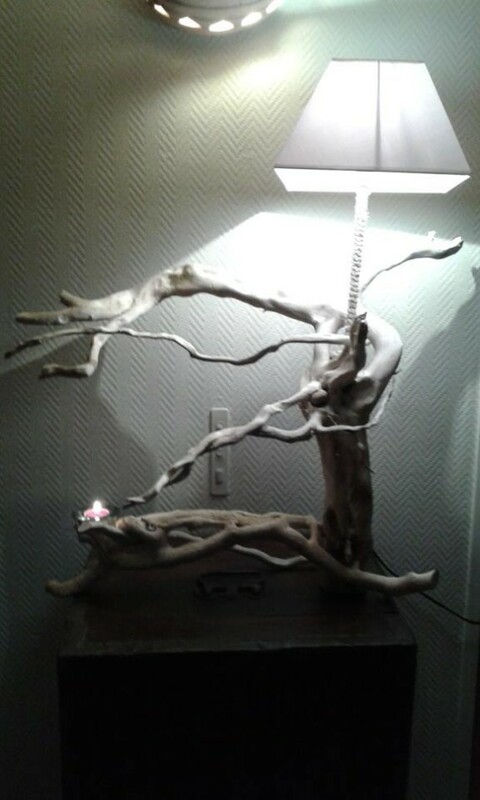 This driftwood recycled lamp is a classic example, the cost on making it is almost zero while it lacks nothing, style charm and charisma. If you place it even in your bedroom, trust me every one who would see it is going to adore your aesthetic sense. 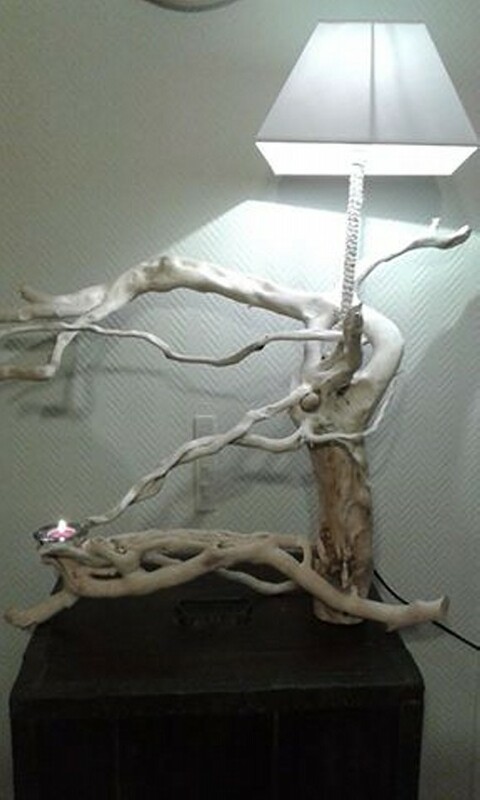 Here in this idea, the base of lamp is completely made of driftwood.